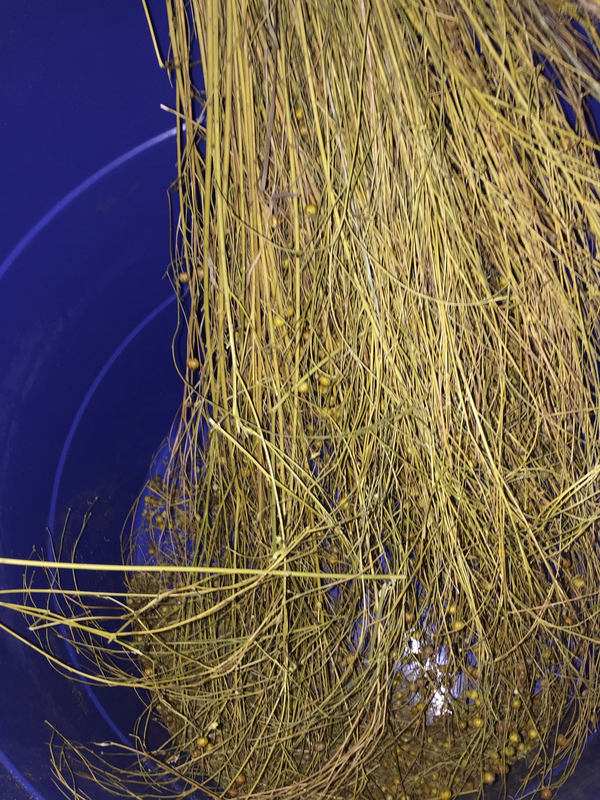 After harvesting flax in late August, we bundled the branches, and hung them upside down to dry, catching falling seed pods in voile. 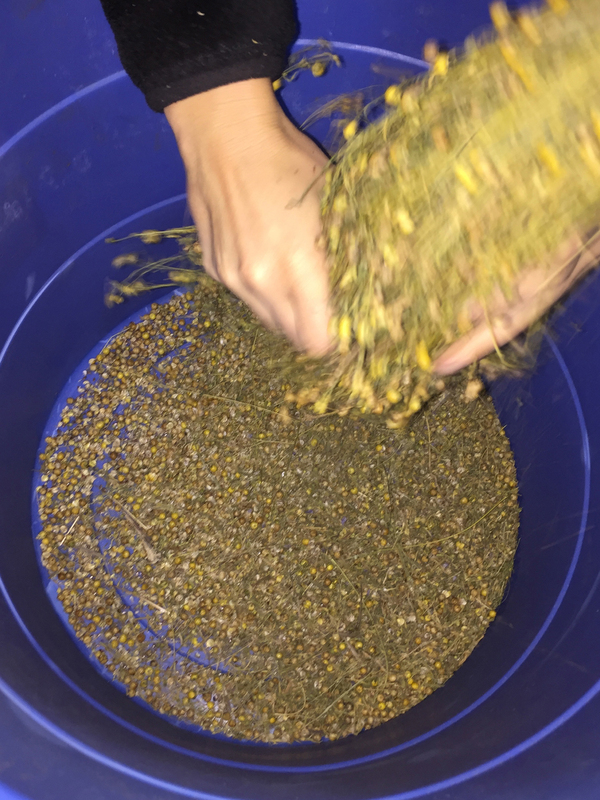 Unwrapping the flax, we used our hands to pull and scrape off seeds, collecting in the bottom of the bucket. The small, brown, edible seeds are inside the round bulb or pods, which crack easily having dried out for 2 months.